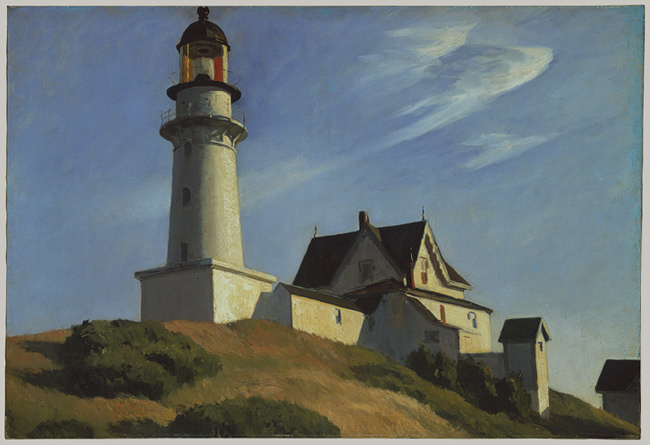 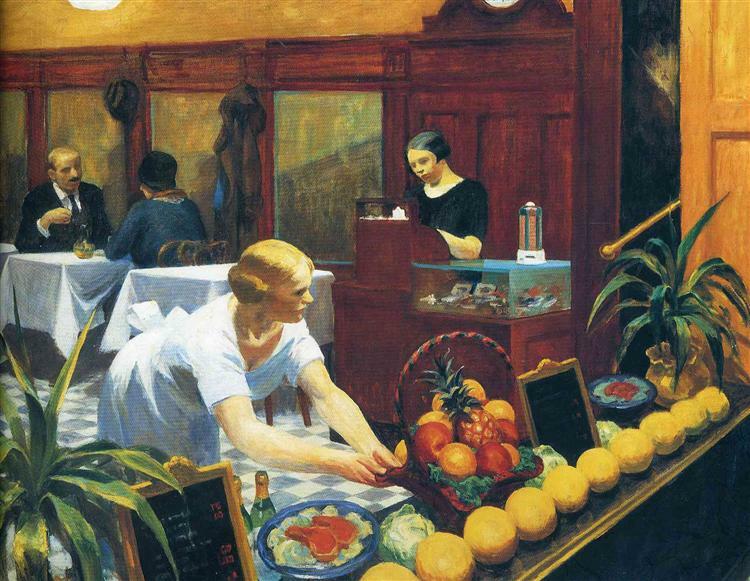 Edward Hopper and his wife first rented a cottage in Truro, Massachusetts, in the summer of 1930, and they would return there regularly through the 1950s. 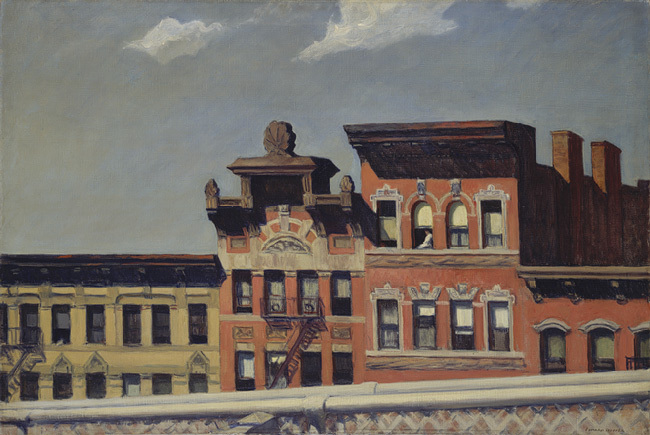 Hopper began 'Office in a Small City' while he was staying in Truro in the summer of 1953, and he finished it in his New York studio in the fall. 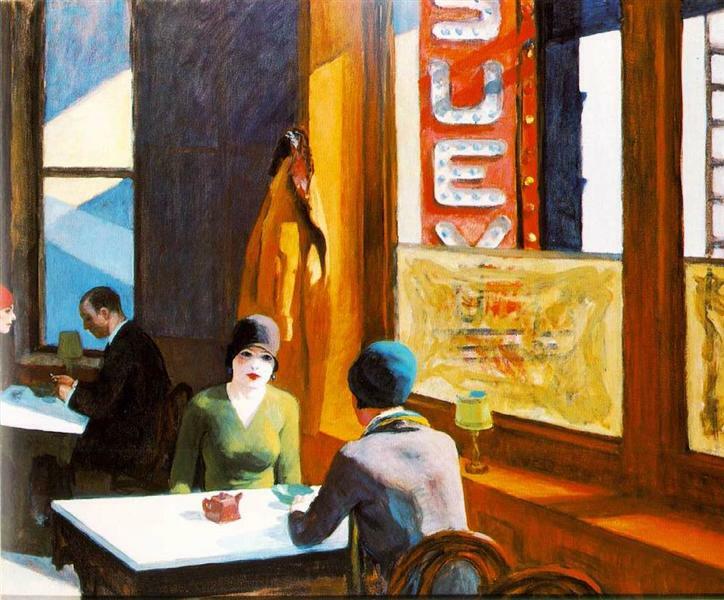 Rather than depicting the Cape Cod landscape, however, 'Office in a Small City' is a scene that could have taken place in any American town in the mid-twentieth century. 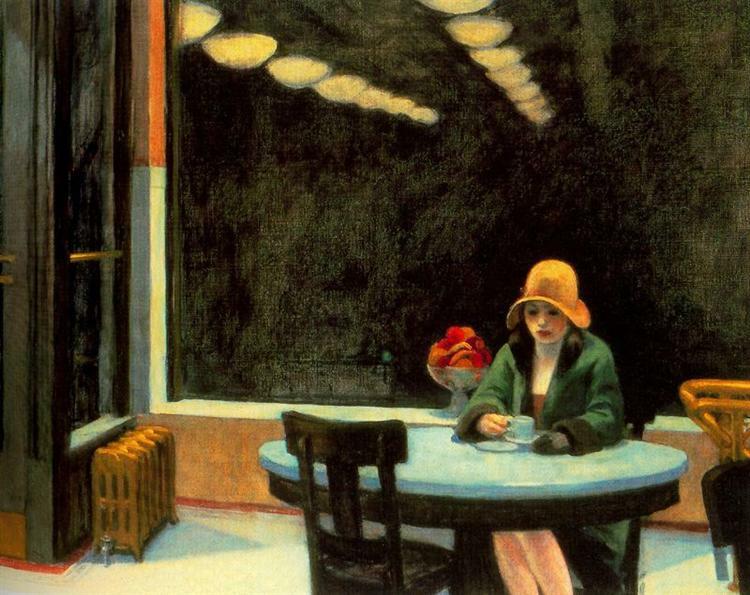 Hopper's explanation of his earlier work 'Office at Night' (1940; Walker Art Center, Minneapolis) also applies to this painting: "My aim was to try to give the sense of an isolated and lonely office interior rather high in the air, with the office furniture which has a very definite meaning to me." 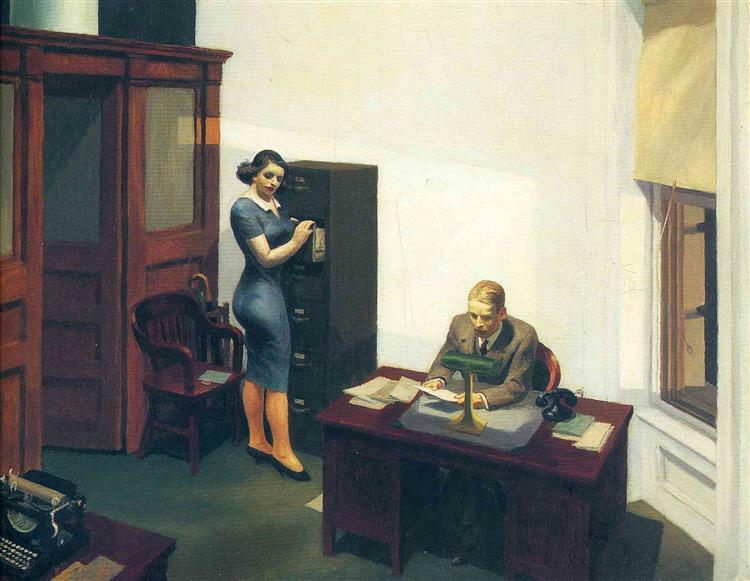 The solitary office worker in this scene is isolated both physically and emotionally. 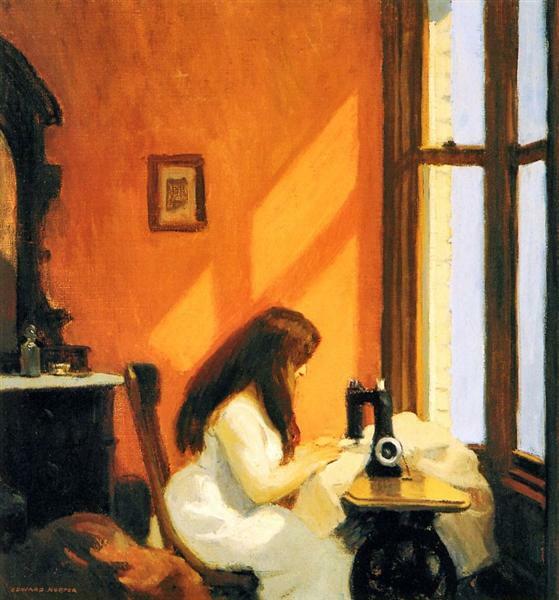 There is no indication of his particular profession, as he sits in his shirtsleeves; he appears, in fact, to be daydreaming rather than working. 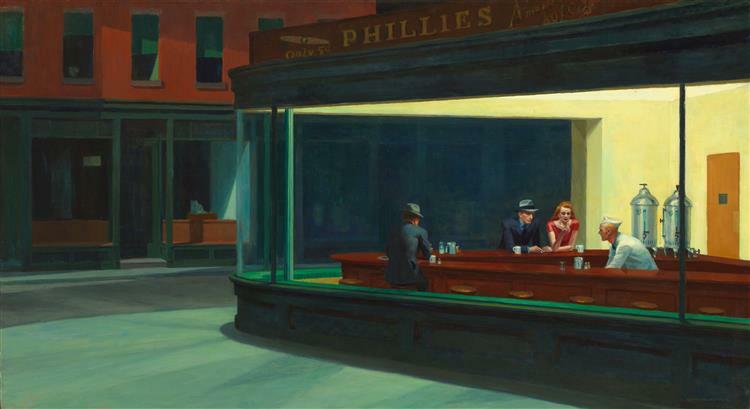 The postwar culture of American business is evident in the mass-produced office furniture, the impersonal atmosphere of the office itself, and the man's detachment from his unseen coworkers. 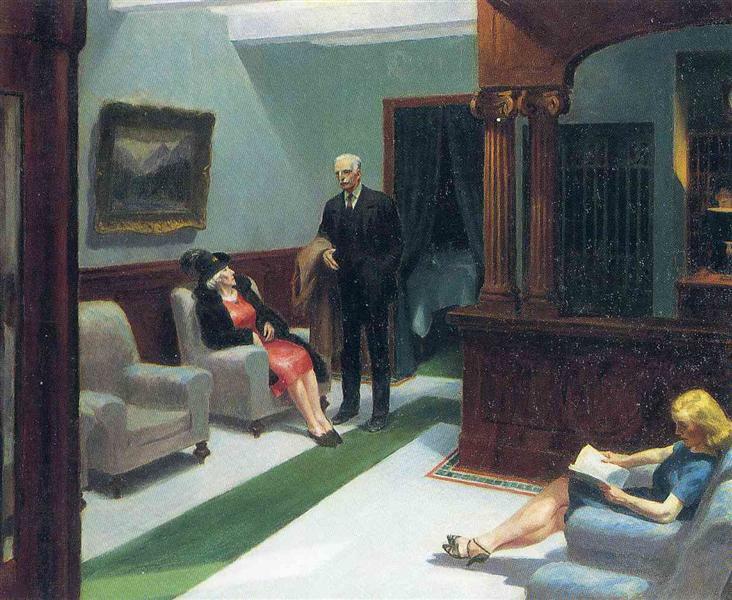 Despite the light and air afforded by his corner office, he appears trapped in place. 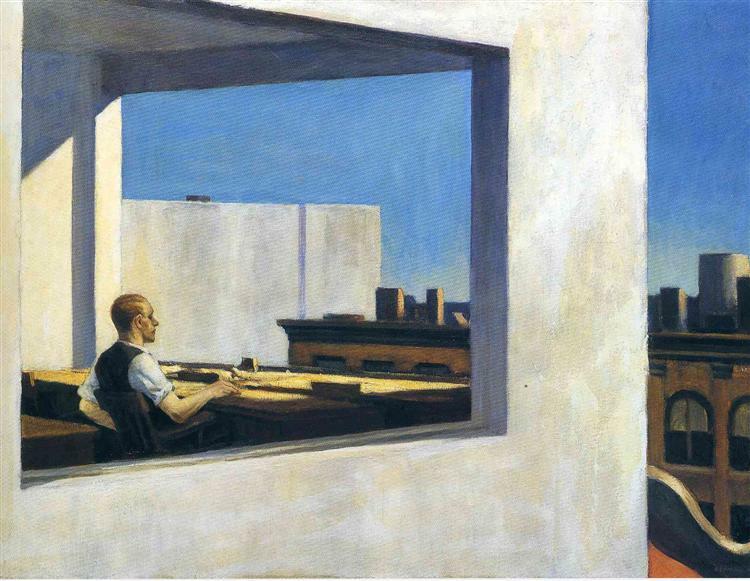 He is framed by the office window, and his head is profiled against another window and the wall of the building beyond, in a manner that suggests his containment within his environment. 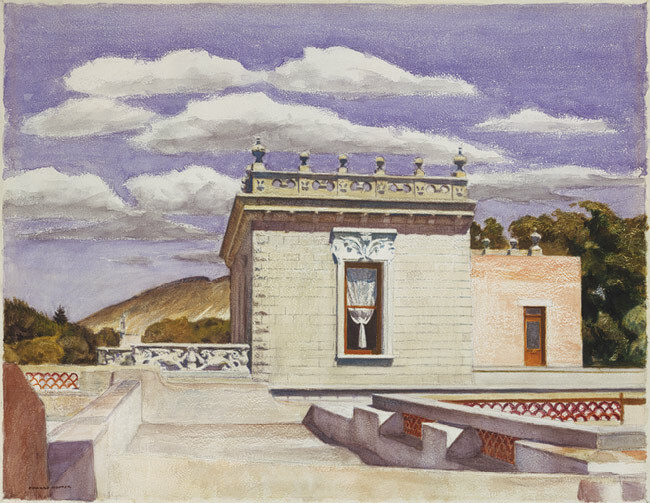 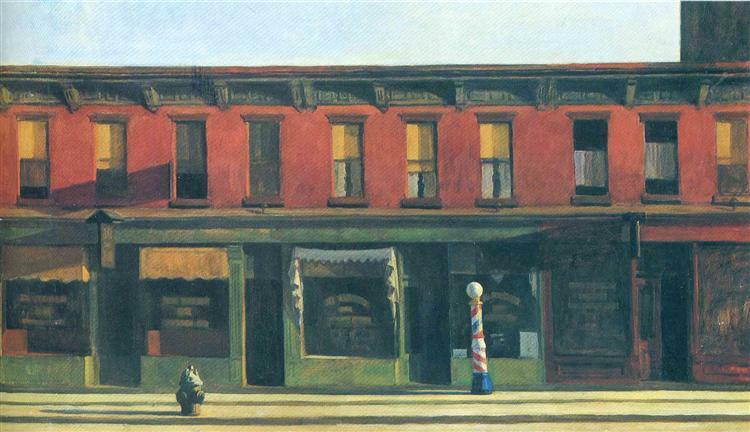 The solitude of the man, and the contrast between the stark, utilitarian upper story of the building and its decorative false front, visible at the lower right, suggest Hopper's own ambivalence toward modern urban life.